If you own the last-gen Creta but like some of the design and interior elements of the newer model, it is now possible to swap the body kit and other elements for Rs. 31,000. We are talking about a modification job on the 2016 Hyundai Creta, through which it has been made to look like a facelifted, 2018 Creta, and that’s not all. The owner of the car states that his Creta 1.6-litre VTVT SX+ Automatic boasts features unavailable even on the 2018 Creta SX (O). On the outside, this car is an amalgamation of both the models. While the grille and bumper come from the 2018 Hyundai Creta, the headlights are retained from the older generation model. It also gets the updated fog light housings along with a silver skid plate. The front A-pillar gets a glossy blacked-out finish and the black body cladding has been reworked to white, which looks really good. The above cosmetic updates costing Rs. 31,000 were carried out in a Hyundai service centre. A K&N performance air filter is also fitted in the car. 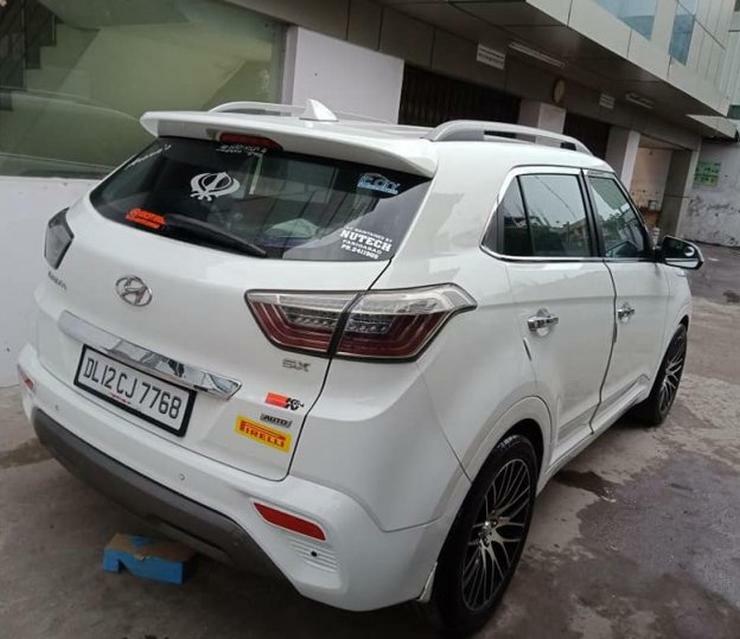 Apart from the visual tweaks, changes on this modified Hyundai Creta include a front parking camera, black headliner, chocolate brown colour theme for the seats, 18 inch alloy wheels on 245/45 Pirelli tyres, LED taillights, a high-end audio system featuring Mercury speakers for the front and rear, dual subwoofers, amplifier and copper damping sheets with custom built housings for the front pillar mounted tweeters. The dashboard also hosts the 2018 Creta’s updated touchscreen infotainment system featuring Apple CarPlay and Android Auto. 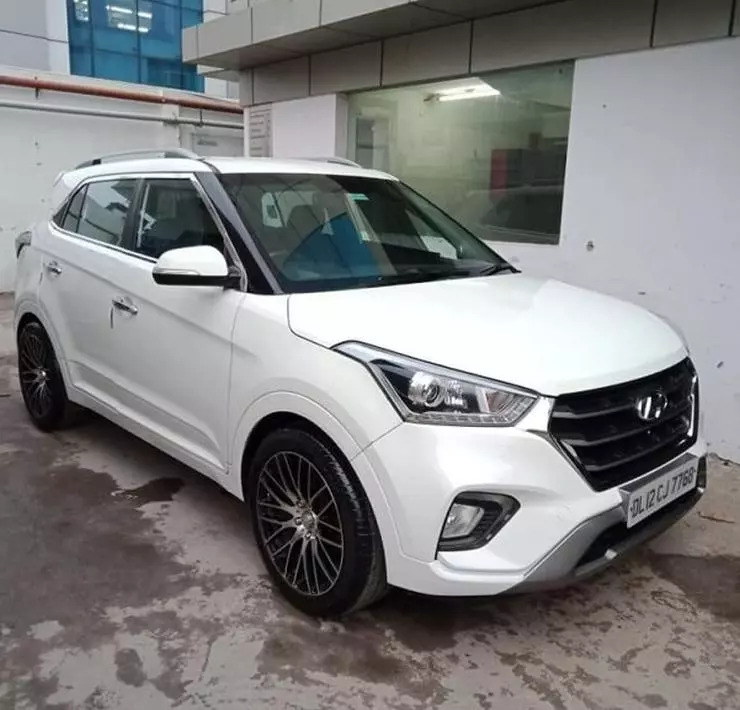 The 2018 Hyundai Creta 1.6-litre petrol (VTVT SX AT) variant carries a price tag of Rs. 13.47 lakhs, ex-showroom. The company also offers the 6-speed automatic gearbox with the 1.6-litre CRDi engine on the SUV. All variants get a 6-speed manual transmission as standard. South Korean auto behemoth Hyundai seems to have cracked the recipe of making cars that appeal to Indian buyers. Most of the company’s models are going strong in the sales department, including the Creta. The Creta is the best-selling SUV in its segment and was facelifted some time back. « Mahindra Marazzo vs Toyota Innova Crysta spec comparison: Which MPV offers what!